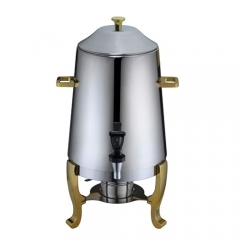 A distinctive design reminiscent of a traditional coffee dispenser. 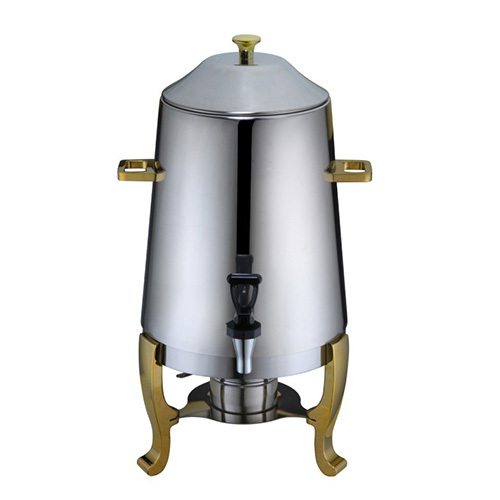 Coffee dispenser a versatile option to enhance your buffet, catering, or hotel beverage presentation! Its beautiful heavy duty, mirror-finished stainless steel body is easy to clean, while a durable, solid leg and welded construction provide added support for frequent use.